In this episode I talk to Sandra Wachter about the right to explanation for algorithmic decision-making under the GDPR. 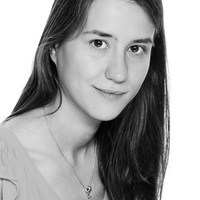 Sandra is a lawyer and Research Fellow in Data Ethics and Algorithms at the Oxford Internet Institute. She is also a Research Fellow at the Alan Turing Institute in London. Sandra’s research focuses on the legal and ethical implications of Big Data, AI, and robotics as well as governmental surveillance, predictive policing, and human rights online. Her current work deals with the ethical design of algorithms, including the development of standards and methods to ensure fairness, accountability, transparency, interpretability, and group privacy in complex algorithmic systems. You can download the episode here or listen below. You can also subscribe on iTunes and Stitcher (the RSS feed is here). 3:40 - Why are algorithmic decisions so opaque? Why is this such a concern? 5:25 - What are the benefits of algorithmic decisions? 7:43 - Why might we want a 'right to explanation' of algorithmic decisions? 15:48 - Introducing the GDPR - What is it and why does it matter? 19:29 - Is there a right to explanation embedded in Article 22 of the GDPR? 27:40 - When do algorithmic decisions have 'significant effects'? 29:30 - Is there a right to explanation in Articles 13 and 14 of the GDPR (the 'notification duties' provisions)? 33:33 - Is there a right to explanation in Article 15 (the access right provision)? 37:45 - Is there any hope that a right to explanation might be interpreted into the GDPR?